It starts with a blush of red on your cheeks, nose, or forehead. In time, this may spread to the ears, chest, and back and turn to bumps, pimples, and broken blood vessels. It could also inflame and irritate your eyes and thicken your skin. There are four types, though if you have one, you might have others and symptoms can overlap. 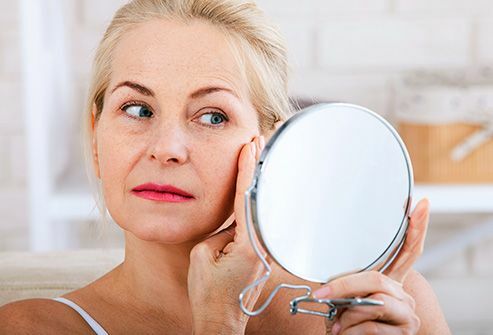 Your face may appear to blush in the center and you might see tiny broken blood vessels that appear in a distinctive pattern called spider veins. Your skin could swell, sting, burn, and flush more easily than other people. Eventually it might get dry, rough, and scaly. You'll have outbreaks of bumps that look like acne and might be filled with pus. Your skin may be oily and sensitive or burn and sting. Raised, often hardened patches called plaques also might appear, along with spider veins. This one is rare. You usually get another type of rosacea first. You may see broken blood vessels and your skin might be oily and look like it has large pores. 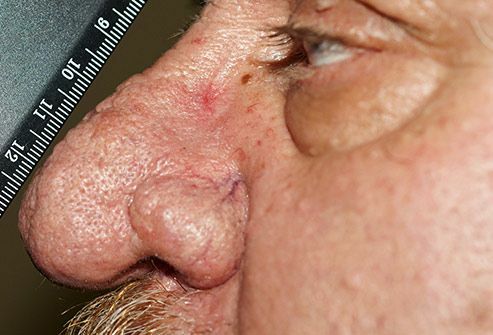 It gets bumpy and starts to thicken around your forehead, cheeks, chin, ears, and especially your nose, the most common area, where it's called rhinophyma. They may be watery and bloodshot and feel like there's sand in them. They could itch, burn, sting, and get really dry. And you might not see as well as you did before. Your vision can get blurry and oversensitive to light. 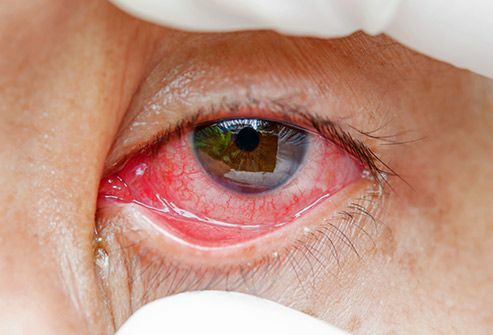 Look for broken blood vessels or fluid-filled sacs called cysts on your eyelids. 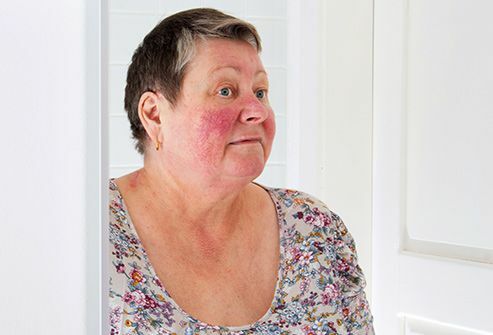 There are no medical tests for rosacea, but your doctor could use them to rule out other conditions like lupus or allergies. She'll examine your skin and eyes and ask you questions about your symptoms and medical history to see if you have it. No, but treatments might help. Medication and other therapies can make your skin look and feel better. They might also stop your rosacea from getting worse. Brimonidine (Mirvaso) and oxymetazoline (Rhofade) cut down redness for about 12 hours by shrinking your blood vessels. Azelaic acid and metronidazole can help with redness and bumps, but they take 3 to 6 weeks to work. 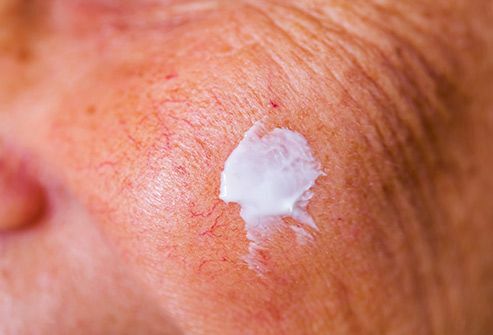 Talk to your doctor about creams and lotions that might be best for you. 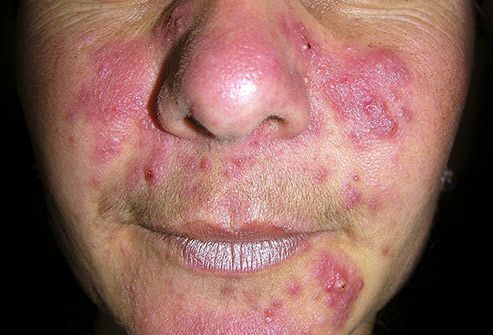 Antibiotics mainly ease swelling linked to rosacea. 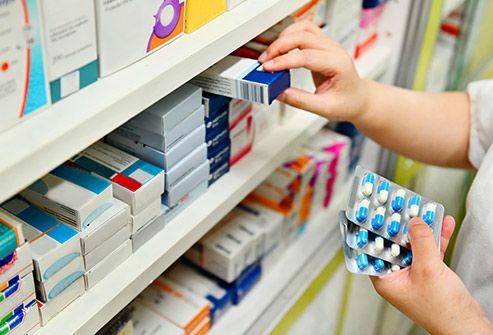 You might take doxycycline in particular if you have bumps and pus. You could also use tetracycline or minocycline, but it's not clear if they work as well. 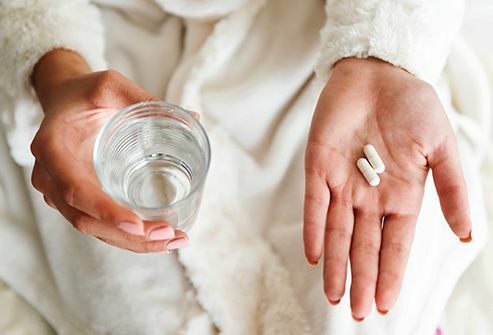 Your doctor may suggest a strong acne drug called isotretinoin (known as Claravis or Amnesteem) if other treatments don't work, but not if you're pregnant because it can cause birth defects. Your doctor may use a laser to reduce the redness of enlarged blood vessels. 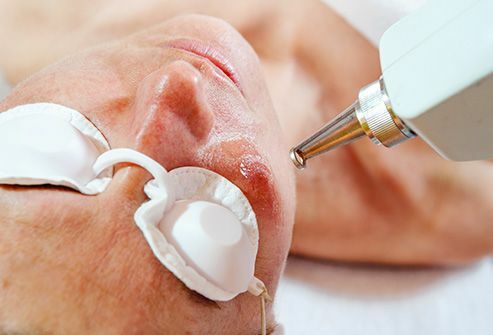 They also could use other therapies like intense pulsed light therapy, electrosurgery, and a technique called dermabrasion that sands away outer layers of skin to allow healthier skin to grow back. For acne-like breakouts (type 2), your immune system seems to overreact to a bacteria called Bacillus oleronius. 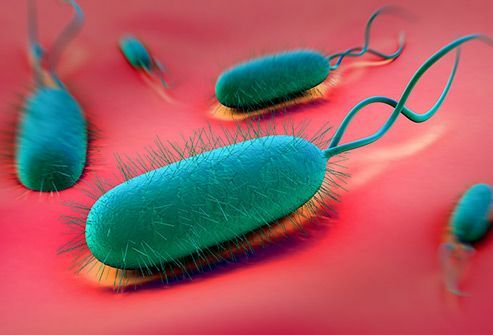 A type of bacteria called H. pylori and a common mite called demodex are linked to rosacea. The protein cathelicidin, which normally helps stop skin infection, might be a cause in some people. More than 14 million Americans live with the disease. Anyone can get it, but most have light skin, blonde hair, and blue eyes. Women get it more than men, but it's often more severe in guys. Your odds also go up if your extended family has Scandinavian or Celtic roots or a history of rosacea or serious acne. Those are things that cause your rosacea to flare. 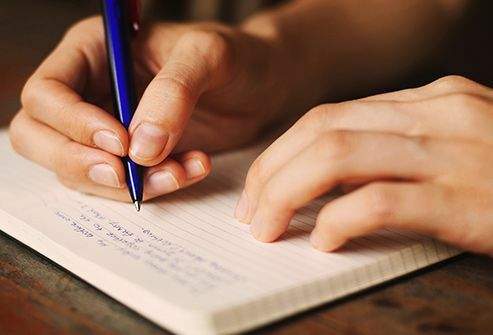 It may help to keep a journal of what you're doing before an outbreak so you can look for possible culprits. Everyone is different, but some common triggers are a cold wind that blows on your face or eating spicy foods. Others might include sunlight, stress, red wine, drugs, and exercise. Your skin is often sun-sensitive when you have rosacea. Avoid the outdoors in the heat of the day, and use "broad-spectrum" sunscreen if you're in the sun. The SPF rating, which tells you the level of protection, should be 30 or higher. Use it every day along with a wide-brimmed hat, sunglasses, and other clothing that covers and protects your skin. 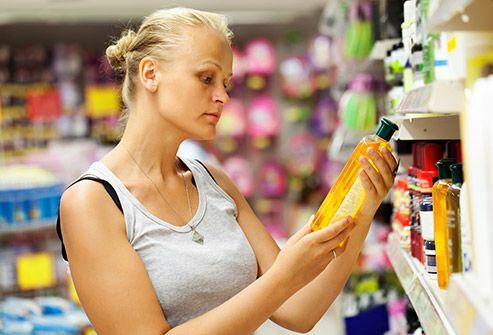 Certain soaps, creams, lotions, and makeup can cause rosacea flare-ups. Ask your doctor or pharmacist about milder products that are less likely to cause irritation. Also, you may get problems if you simply scrub too hard. Take care, be gentle, and watch closely to see what helps and what hurts. 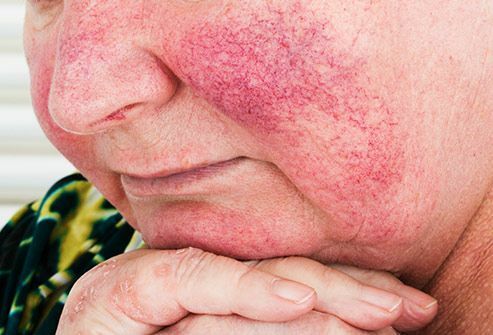 FamilyDoctor.org: "Triggers could be causing your rosacea flare-ups," "Rosacea."